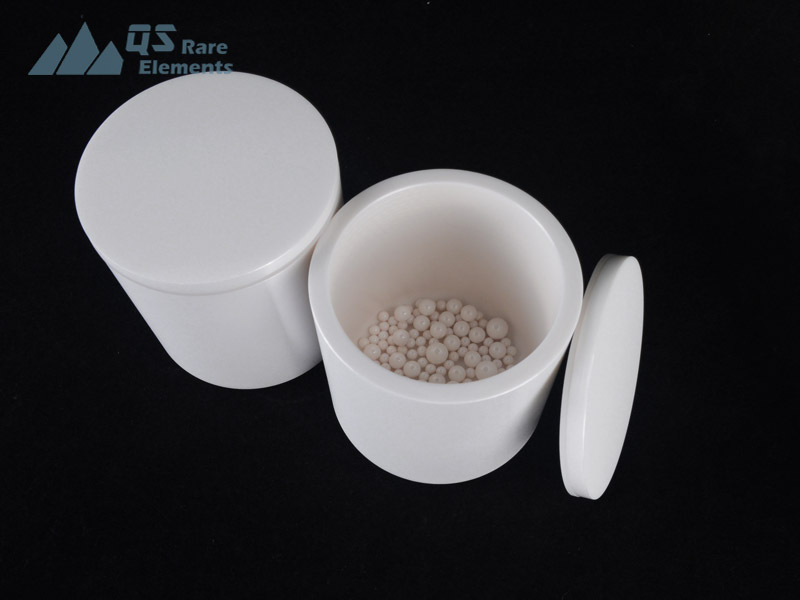 Compared with alumina, zirconia has much larger density and better wear and corrosion resistance. Yttria Stabilized Zirconia is a better material for mechanical parts. It is the most durable material for ceramic grinding media and grinding jars. Due to the high density of Yttria Stabilized Zirconia (YSZ), the grinding efficiency is also rather high. It also provide low contamination due to the wear resistance and corrosion resistance. 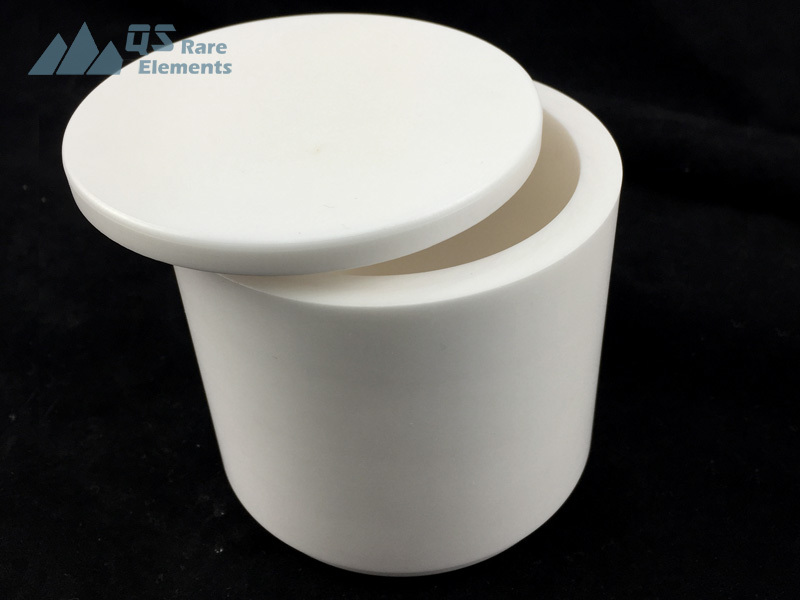 QS Rare Elements is a professional custom manufacture for advanced ceramics including zirconia. Our machining and surface grinding equipment provide accurate dimensions for Yttria Stabilized Zirconia (YSZ) custom made ceramic parts and shapes. • Used for grinding ceramics materials, magnetic materials, paints, dyes and inks.